Rexhep Rexhepi takes AkriviA into new territory with the AK-06, the first timepiece from our workshop to venture beyond the tourbillon. 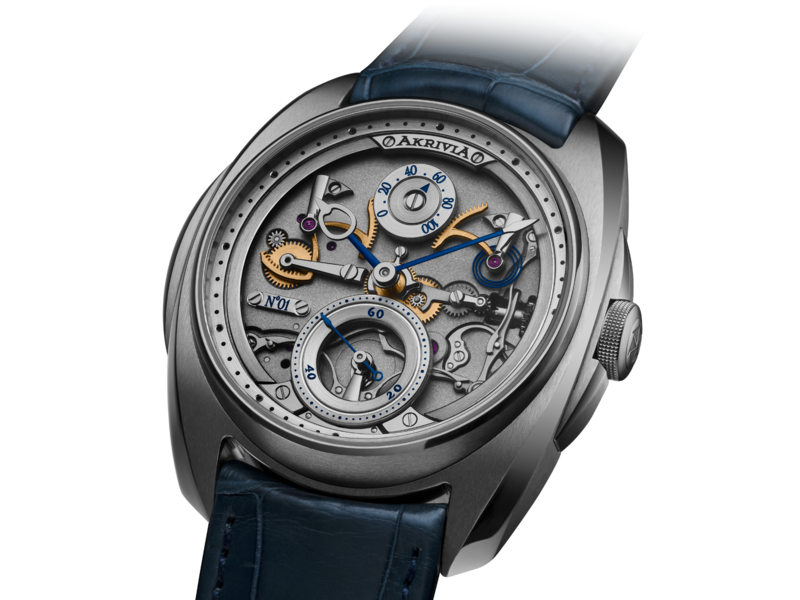 The basis of this movement comes from the powerful Tourbillon Chiming Jump-Hour AK-03. The AK-06 is reworked to focus purely on time-telling without complication, and to highlight its impressive 100-hour power reserve. Another first for AkriviA is the dial-free design. Openworked dials are not new for AkriviA, but the AK-06 brings things to a new level by selectively showcasing all the components relating to the power reserve and its indication. As with all our creations, the philosophical core is positioned at twelve o’clock. In the AK-01, it was the column wheel; in the AK-03, it was the strike hammer. In the AK-06, the power reserve display takes this position, along with the counter-balanced racks that neutralise the marginal load of the power reserve display and optimise energy flow towards the balance. 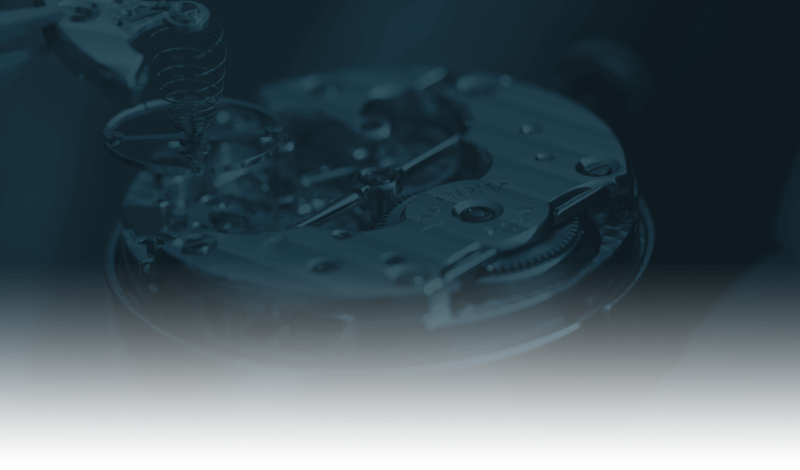 In this way, the mystery of high watchmaking is partially opened to the wearer as the mainspring is wound or unwinds, and the mechanism reveals itself. Compared to previous models, the tourbillon opening mounted at 6 o’clock has been slightly enlarged and is framed in highly polished, mirror-like steel, making all the parts of the tourbillon escapement and its cage sparkle every second during its rotation. 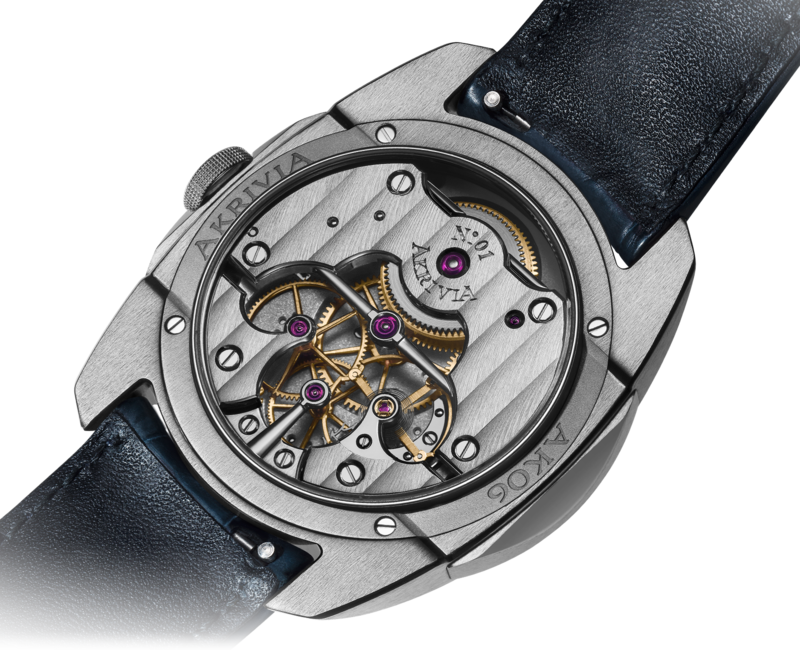 The barrette styled tourbillon bridge is a virtuoso piece of watchmaking skill that has become a trademark of AkriviA’s models so far ; its open worked, filigreed arch is testament to the precision and surety of the watchmaker’s hand and eye, painstakingly crafting a perfect finish on every available surface. In-house developed variable inertia balance wheel (10.5mm) using 4 adustable weights combined with Breguet overoil. 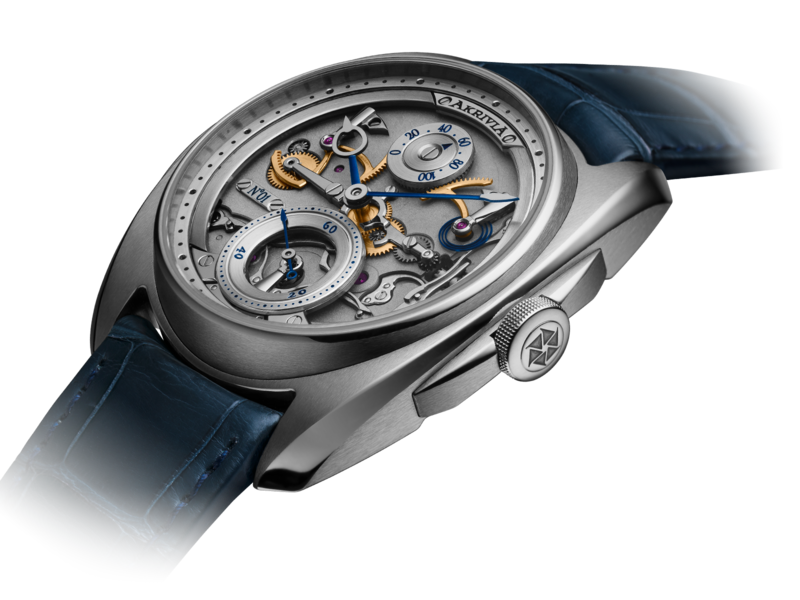 The entire movement’s visible and- non-visible parts have been hand-finished to the highest Genavan traditions using several traditional techniques : black polish, Côtes de Genève, hand polished and brushed surfaces, Rhodium treatment, beading and hand engraving, entirely handmade anglage.